Choose your desired assessment type. Upload source code, byte code or binaries, or provide URL of target application. 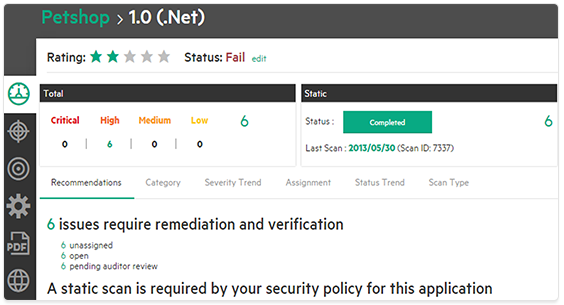 Micro Focus security professionals perform an assessment and verify results. Verifiable false-positives are removed from the system before results are published with a star-rating and assessment against pass/fail criteria. Lightning-fast turnaround time (typically a few hours) depending upon assessment level and type. Communicate relevant metrics, filtering by severity, vulnerability category, business unit, region or other company data. Quickly show identified critical vulnerabilities, applications at highest risk and trending history. Click on the application name to get up-to-date audit information: scan owner, analysis type and any notes. Drill down even further for stack trace, line of code details, request/response and remediation recommendations. 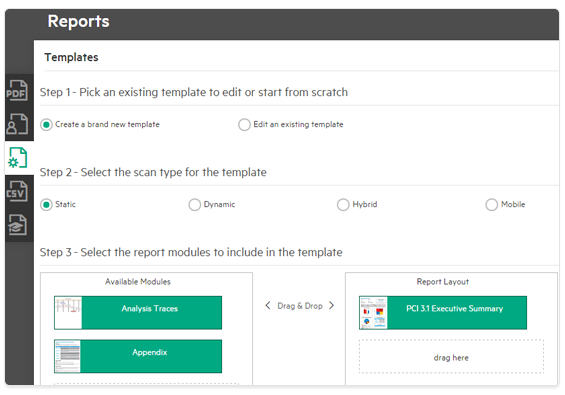 Manage and assign remediation tasks through the portal. Upload source code, byte code or binaries. Provide URL and credentials of target application. Upload binary (e.g. APK or IPA) for desired application. 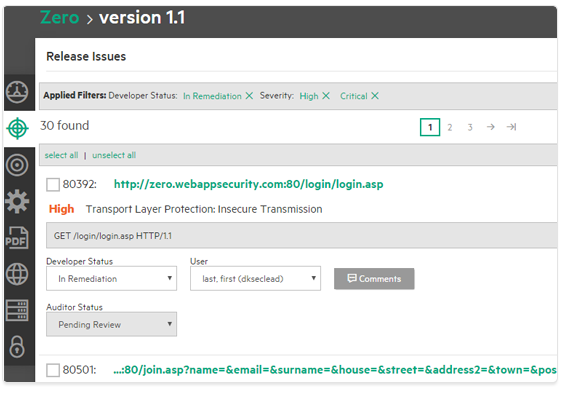 Manage your AppSec Program from a centralized portal or hosted web-based interface. Get a working view of all your apps, filtered and categorized based on your criteria. 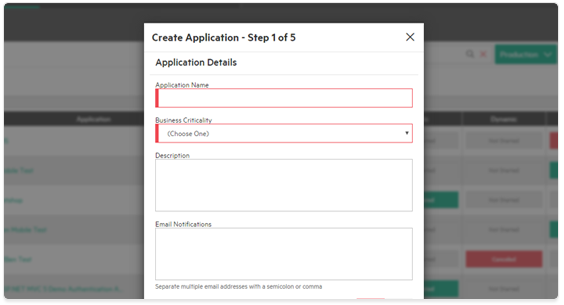 Customize your program to suit your business by specifying user role permissions, attributes, vendor relationships and more.